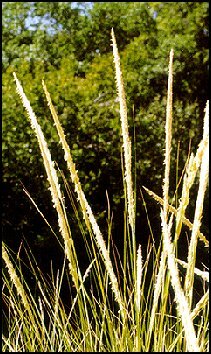 Grass species can be difficult to identify, but there are certain grasses we commonly see but don't know the names of. Often, it is the seed head that has distinctive characteristics. The following are some of the common sights along our roadsides. 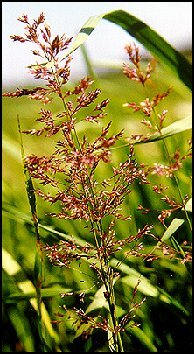 Timothy grass is one of our most common grasses. It's tight, cigar-shaped flower heads are easy to spot. They are similar to the foxtails (Setaria spp. ), but appear with shorter "hairs". The heads are 1-2 inches long. According to Voss, we do have a native Phleum in the U.P., but it only occurs on the Keweenaw peninsula. However, the DNR lists it as no longer growing in the state. 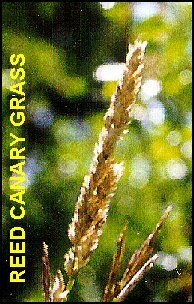 Reed canary grass forms thick colonies of grass with blades about a 1/2-inch wide. It prefers soils that retain some moisture during most of the growing season and is more common in marshes and along ditches. In general appearance, the seed head is dense, rough-looking, and somewhat flattened. The grassy part usually stands 1-2 tall. Red top is one of the several fescues which are sold for lawn seed. As the name suggests, the loosely arranged, delicate-looking seed head is reddish-brown in color. Individual seeds are easy to see. Grass blades slender. Plants stand 2-3 feet tall. Like red top, smooth brome also has a spreading, delicate-looking seed head. 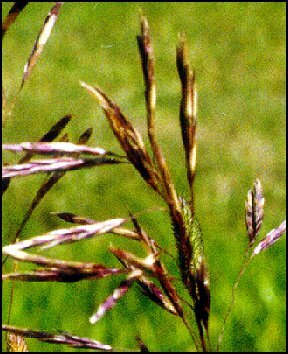 However, the seeds of smooth brome are longer, maybe a half-inch. They look a bit like beech buds (if that helps). Blades are 1/4 to 1/2 inch wide. Beach grass is most commonly found in very sandy places such as beaches, dunes, and right-of-ways. Where roads pass through sandy outwash plains, beach grass can sometimes be found. It grows in clumps up to 2-3 feet tall. 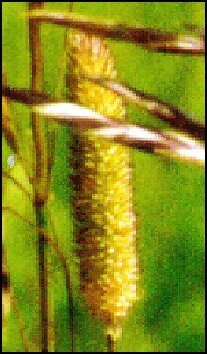 The flower spikes are rough-looking and about 10-15 inches long.